Merry Christmas everyone! Wishing you a wonderful holidays, and much love and thanks for all of your support and the encouragement you have given us over the past year. 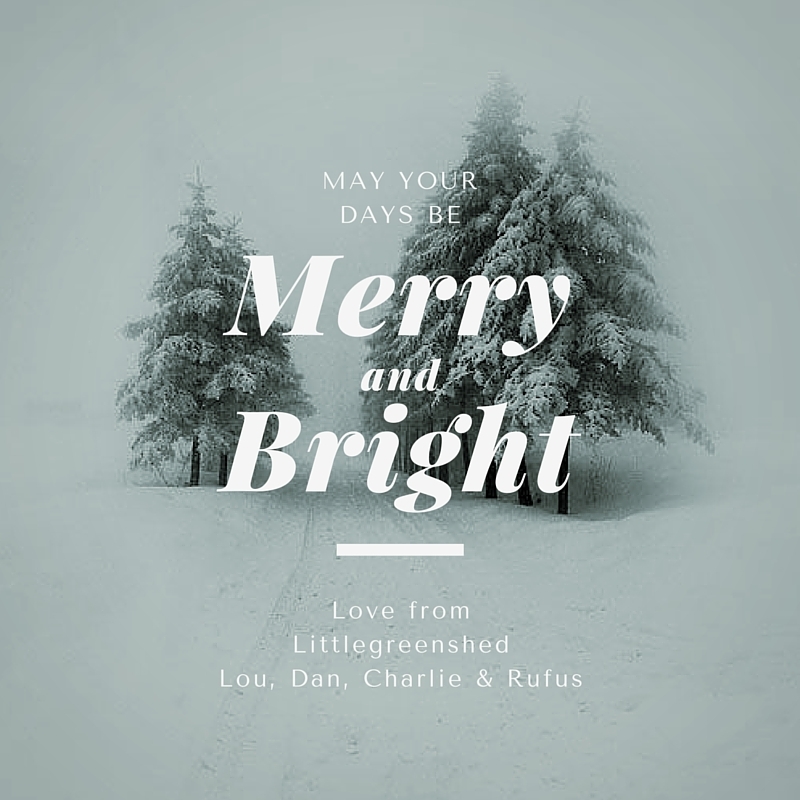 Littlegreenshed is growing and changing, and we hope that 2016 will be just as sparkling as this year has been. We are signing off now for a few days, to spend time with family and eat lots! We hope you have a lovely few days too. We shall be back with a few round up posts before the New Year.